Lincoln, New Hampshire is the perfect destination. Nestled in the beautiful White Mountains, you’ll have amazing panoramic views, delicious restaurant options, and incredible skiing and outdoor winter activities for the whole family. Not sure where to start? Take a look at a sample weekend itinerary. Whether you’re just coming from down the road or all the way from Boston or New York, a long weekend in the mountains is just what Mother Nature called for this winter. Start your morning off early and hit the ski slopes before the weekend crowds come on Saturday. Are you coming up Saturday and leaving Monday? Move Friday's itinerary to Monday and you've got a nice quiet ski day to wrap up your week! Once you’d arrived, it’s time to hit the slopes. The ski mountains are much less crowded during the week, so it’s a great time to get in a lot of runs in one day. In Lincoln, NH, Loon Mountain is just up the road and Cannon Mountain just a few exits from town. If your kids are young and still perfecting their “pizza and french fries” then you’ll want to stick to family-friendly Loon Mountain where 80% of the trails are dedicated to beginner and intermediate skiers and snowboarders. Loon has 61 trails and 11 lifts covering over 370 acres and 2,100 vertical feet. For more advanced skiers and those looking for a backcountry adventure, head to Cannon Mountain. 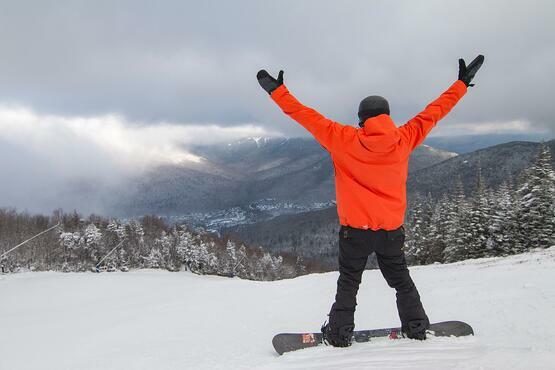 Cannon is New Hampshire’s highest ski mountain with a vertical drop of 2,180 feet. Between the backcountry Mittersill Area and Cannon Mountain, Cannon has 285 skiable acres with 97 trails and 11 lifts. With that being said Loon has some challenging glades and steep double black diamonds and Cannon has a great learning center with some gentle cruising trails. After a long day of skiing, you’ll be hungry. Since you have a big day of fun winter activities planned for tomorrow, stay close to home and eat at our on-site italian restaurant, LaVista Italian Cuisine. The talented culinary team at LaVista serves an authentic Italian menu prepared with only the freshest ingredients. You’ll forget that you’re in New England and think you’re dining on the cobblestone streets of Rome. It really is that good! The restaurant has an in-house bakery chef, Natalina, who specializes in creating daily desserts. And, since you just burned a ton of calories today, you deserve it! We recommend the Tiramisu. 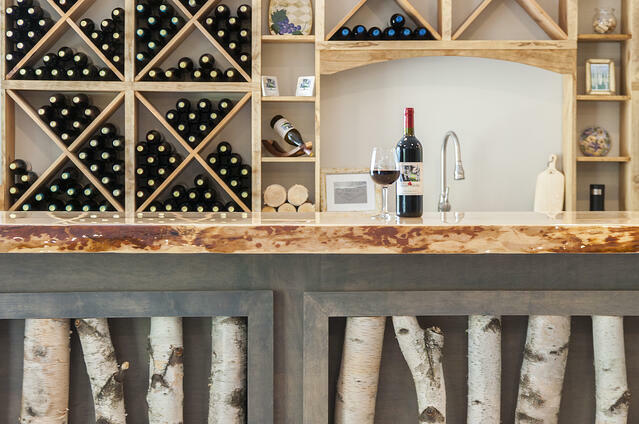 Tuck the kids in bed or pop a DVD in the player, and head to Seven Birches Winery for a little wine tasting. 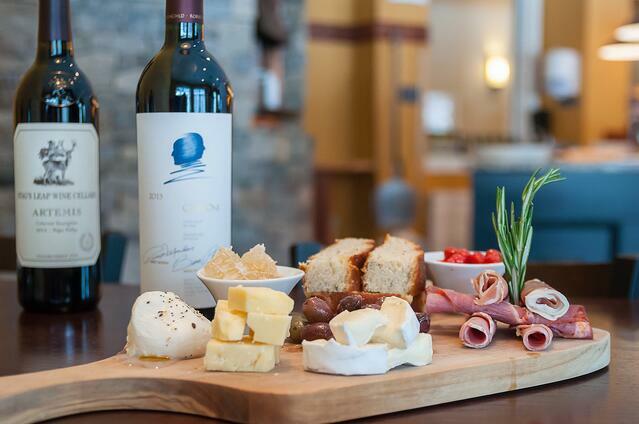 Located within the RiverWalk Resort, Seven Birches Winery creates delicious wines using locally sourced fruits and handcrafted classic European grape varieties. Whether you prefer red, white, or even blueberry wine, you’ll find a glass of something you’ll like here. Personally, we’re a big fan of the Sunset Red, which was inspired by the sensational White Mountain sunsets. Saturday is always the busiest day on the ski hill. 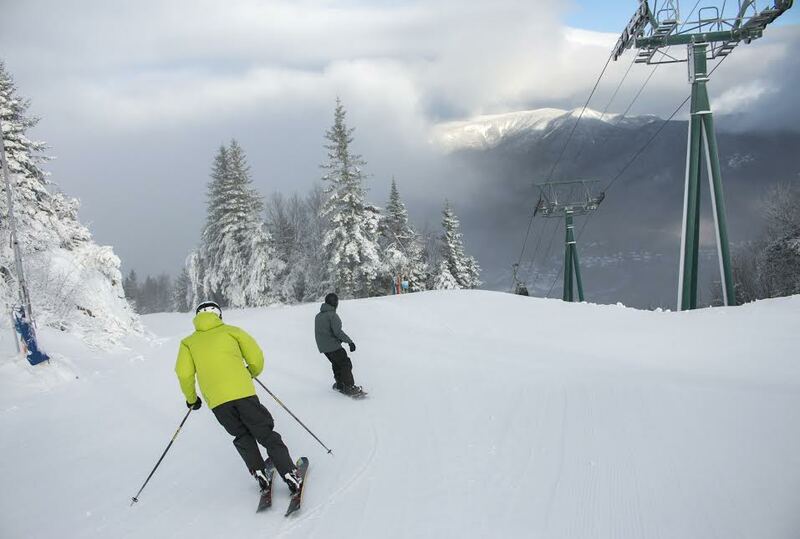 After a day of skiing on Loon or Cannon on Friday, take a break and enjoy the other winter adventures at Loon Mountain. Located across from Loon’s main parking lot, take the whole family to the Loon Mountain Adventure Center for a morning of fun. After breakfast, trade your downhill skis in for cross-country skis for a couple of hours of heart-pumping family fun on the 20 kilometers of groomed cross-country ski trails. The East Ridge Trail System has many beginner, immediate, and advanced trails for all abilities. Never cross-country skied before? No problem! You can take a lesson or guided tour with the professional Adventure Center staff. Rental equipment is available at the Adventure Center if you don’t have your own gear. 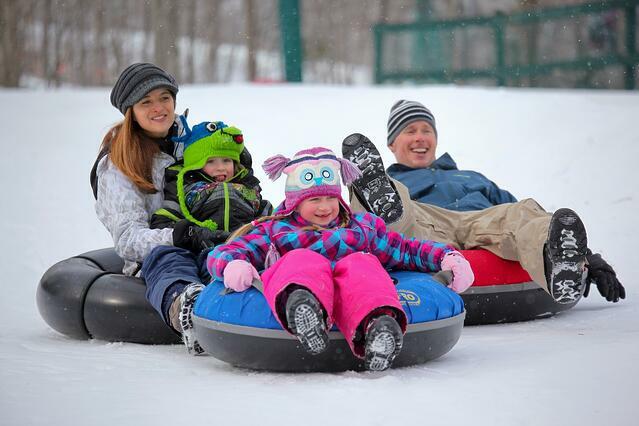 Some kids, especially the little ones, might struggle with cross-country skiing and snowshoeing, but they will love snow tubing! The special tubing hill under the Little Sister chairlift is perfect for any kid or kid at heart. The tubing hill is opened 10 am to 10 pm on Saturdays, and you’ll have to book your one-hour slot ahead of time. Fancy an incredible view of Mount Washington? Sign up for the Summit Guided Snowshoe Tour at the Adventure Center. For two hours, you’ll take a ride up the gondola and hike around the summit, which offers lovely views of the White Mountains. The tour is best for intermediate snowshoers as the terrain is challenging. For beginner snowshoers, try the Base Area Guided Snowshoe Tour where you’ll explore the gentle trails along the Pemigewasset River. If you want to snowshoe at your own pace, rent snowshoes and explore the East Ridge Trail System at your leisure. With so much to do today, you’ll want a quick lunch in your hotel suite. 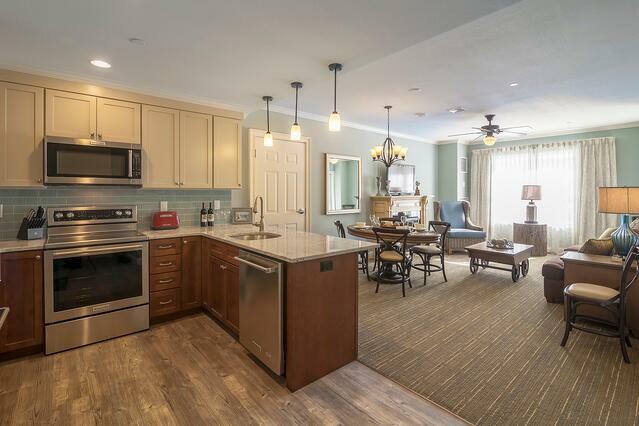 Each suite has a full kitchen with KitchenAid appliances and granite counter tops. Shop for delicious baked goods and supplies at nearby Peaked Moon Farm. Their farm in Piermont produces a wide variety of vegetables, herbs, farm-fresh eggs, and meat that they sell at their farm stand in Lincoln. Don’t want to cook? Pick up fresh soup, salads, or pizza. It’s time for a little “you time.” Send the kids to the Game Room and book yourself a spa package at the onsite Solstice North Day Spa. This tranquil full-service day spa has everything from foot soaks to massages to nail care and hair care. You can pamper yourself from head to toe if you want! 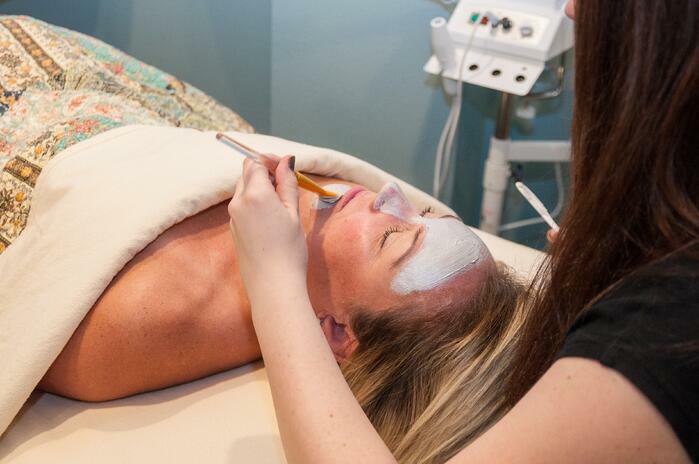 If your muscles are sore from all that powder you were skiing yesterday, treat yourself to one of the signature massages or a restoring foot soak. It’s time for a night out on the town with the whole family! The Lincoln-Woodstock area may seem like a small town, but there are tons of family-friendly places to eat. The Woodstock Inn Station and Brewery is one of our favorites in town. Housed in an old train depot, The Woodstock Inn Station and Brewery has a diverse dinner menu with lots of drool-worthy appetizers, homemade soups, burgers, and entrees. There are dishes on the kid’s menu for even the pickiest eaters and an in-house brewery for mom and dad to enjoy. Black Mountain Burger Co. is another excellent option for a casual dinner. Open daily, the restaurant has more than just burgers. You’ll see tons of great options like soups, salads, sandwiches, and more. The homemade mac n’ cheese is reason alone to go to Black Mountain Burger Co. If you’d rather relax in your suite, you can order your dinner to go. Finish your family adventure off with some ice skating at RiverWalk! During the winter months, we transform our outdoor lagoon into a world-class ice skating rink. Using unique technology our ice skating rink is the first of its kind in the United States. Rent the whole family some ice skates after dinner and take a spin around the ice. If you’re lucky, you might be visiting us while we’re hosting one of our exclusive ice skating shows, like Wine & Ice and Skate with the Boston Bruins! Check out our calendar of events for more information. Flapjacks is the place to be on the weekends! Get there early as the lines can get long. Nestled in an old New England farmhouse, Flapjack’s Pancake House serves up the most delicious made-from-scratch pancakes you’ll find in New Hampshire. Kids will just love the scenic railroad that travels around the restaurant. In a hurry to put on your skis? Purchase the breakfast box at Peaked Moon Farm, which includes all the breakfast essentials like eggs, bacon, granola, pancake mix, and more. You can cook it in your hotel suite. For a unique way to celebrate community, life, and God, join the Sunday Summit Worship Service hosted by Loon Mountain Ministry. Ride the gondola to the Summit Cafe for the 11:30 am non-denominational service. The service starts at the Café followed by a ski or snowboard down the Bear Claw Trail stopping along the way to read scripture, sing hymns, and hear inspirational messages. What a great way to start your week! Sundays are one of the best days to ski as many people are traveling home or watching football on television. With shorter lift lines, you’ll have plenty of chances to practice your carves on the freshly groomed trails at Loon or Cannon Mountain. Many of Loon’s races and competitions, like the Zwahlen Memorial Race and the USASA Slopestyle, occur on Sundays. It’s a great place to shake your cowbell and see future Olympians race in the White Mountains while enjoying the last few hours of your long ski weekend. 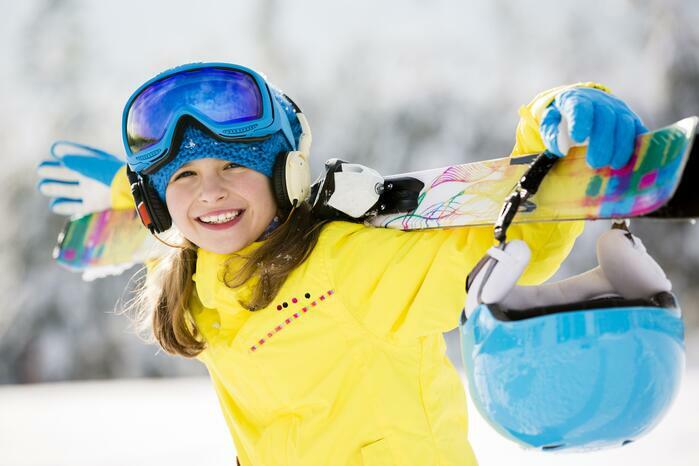 Lincoln, New Hampshire offers incredible fun family winter activities that the whole family will love, including those stubborn teenagers who just can’t put their phones away. Pack up the kids and head to the White Mountains for a long ski weekend. Let us help you plan your perfect ski weekend today. Planning a pre-holiday getaway? Take a look at some of our favorite holiday traditions. Looking for other fun family winter adventures? Read our blog post on the top 10 family winter activities to do in the White Mountains.